Hey everyone! As you might have noticed, the new year is upon us! Well, it's been upon us for over a week now, but hey, still counts, right? I didn't get the chance to wish you guys a proper happy 2017! I genuinely hope you can find happiness this year, and I wish with all my heart that you live every second of it to the fullest. Also, I wanted to thank you for your support last year, it seems surreal when I go over everything that happened, but I'm so thankful for all your support and feedback, and I can't wait to step it up and see what 2017 has to offer. 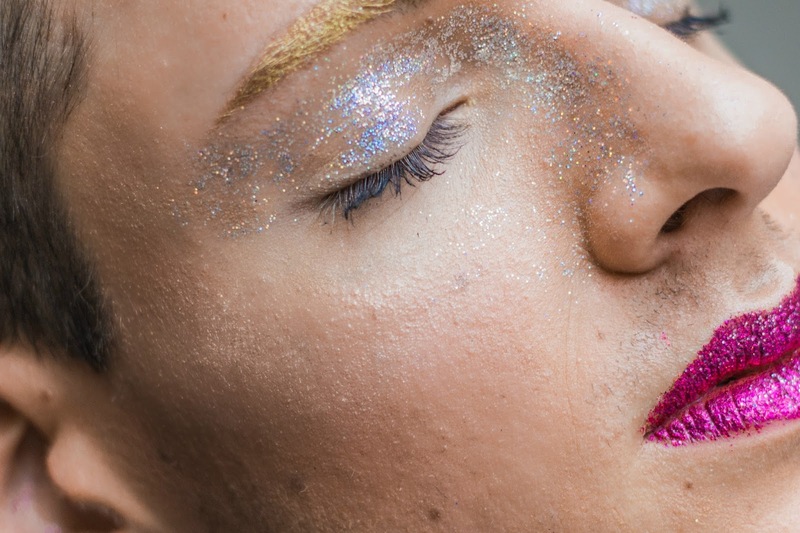 Now, what better way to properly start off the new year than with some glitter? When I saw that Swatch was launching a collection of shining, shimmering, splendid watches, I couldn't not work with them. As you have probably seen from several previous posts (seriously, I think I have a problem, is there something like glitter rehab? ), I am a total lover of everything sparkly. Make-up, fashion, accessories,... if it sparkles, I'm sold! Now that the festive season is over, I hold on to every possible way to keep the glam life going, and these watches are the perfect excuse to add some glamour to your everyday life. There are three colour options in this capsule collection: a silvery white, a hot pink and a true gold one. I immediately fell in love with the golden version, but I must say the pink one has a special place in my heart as well. Pink, black and a lot of glitter, what's not to love? I eventually went with the gold, just because it was my first love, and because it's just a very versatile piece, while still being GLAM AF. 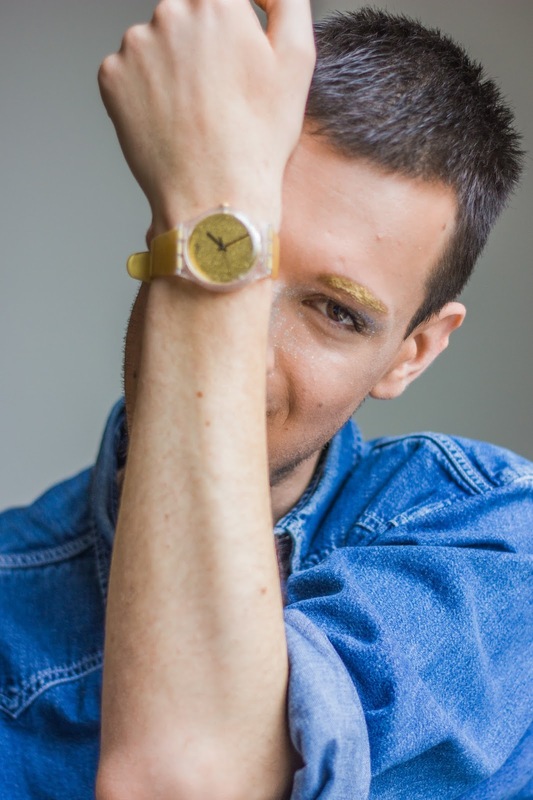 I hear you thinking: "A gold sparkly watch? Versatile?" Oh honey, YES! 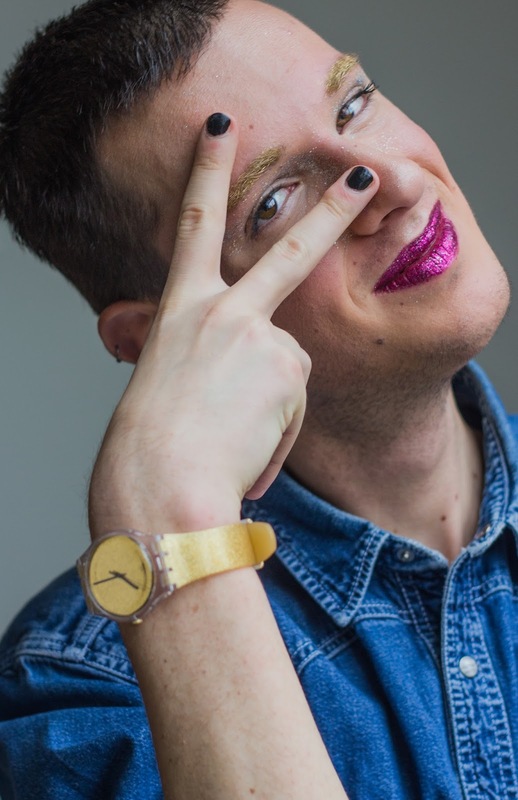 These watches are perfect for a more dressed up look (obviously), but they're perfect to give your everyday outfit that little extra spice it some times needs. When I was thinking about a concept for this post, I suddenly remembered that this is the time of new year's resolutions. I'm not the 'new year, new me' kinda person, but I still love the idea of a fresh year and how this can be a fresh start. That's why, from today on, I will try my best to make every second count. Yes, I know it's cheesy, but nonetheless: I have been wanting to live in the moment a little more often, and to enjoy life when it is happening, and not afterwards, looking at an instagram picture. I have had this on my mind for a while now, and maybe this is the right time to start. I know it isn't January first, but that doesn't matter: every day is a good day to change things up and get started. Make every second count, quite a good link with the watch we're talking about, am I right? 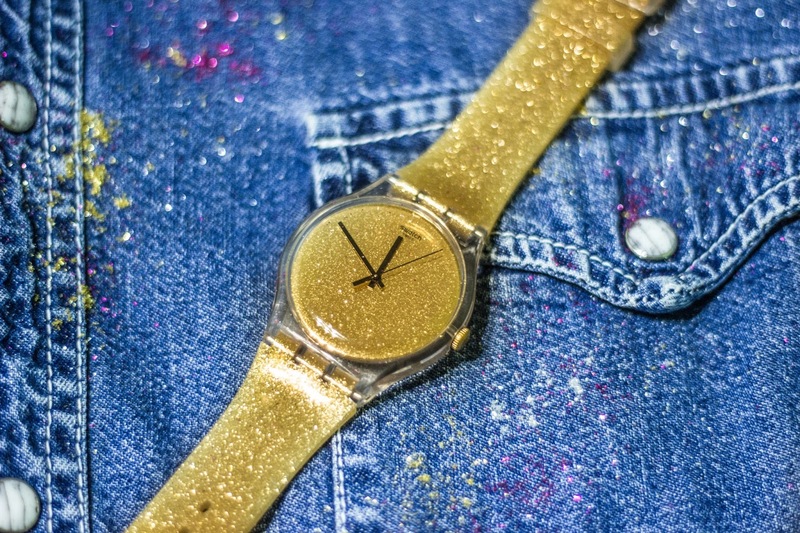 For the look to go with this watch, one thing was sure: it was time for some more glitter, baby! 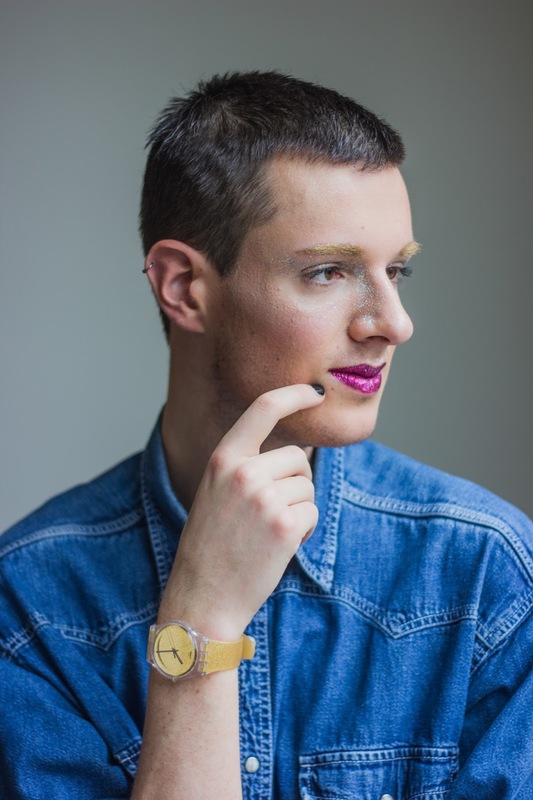 I was inspired by the three colourways of this watch, and I combined those three glitter colours in one look. Gold on the brows, silver on the eyes/nose, and hot pink on the lips. Paired with a simple oversized jeans shirt, this look to me is the perfect mix of youthful, glam, fun and funky. I wore this make-up all day long, even if it was for staying inside the house because of a) snow and b) studies, I have never smiled harder at myself in the mirror. 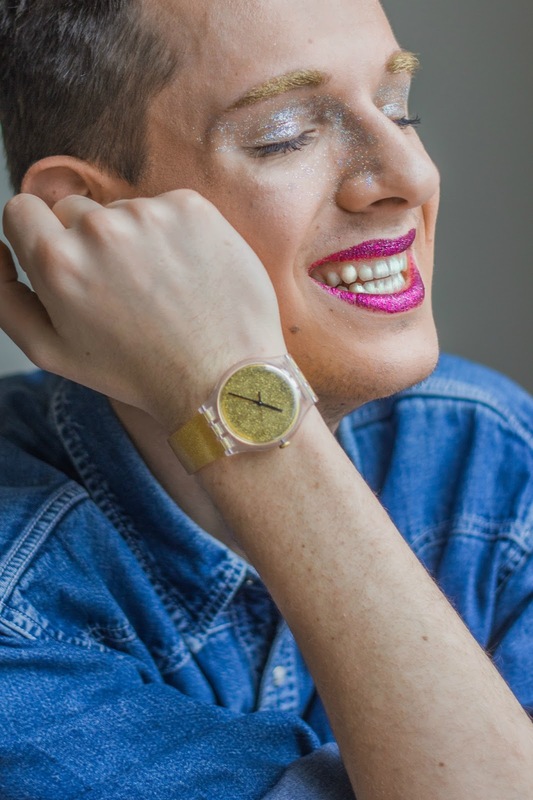 I'll be wearing this golden stunner around my wrist this year, reminding me to seize the day, have fun, make every second count and #lookfabulous while doing so. You can get your own one online right here, and these are actually very affordable too. High glam for a low price, where do I sign up? Thinking about it, I might still need that pink one for days when I'm feeling extra fab! What's your favourite colour? 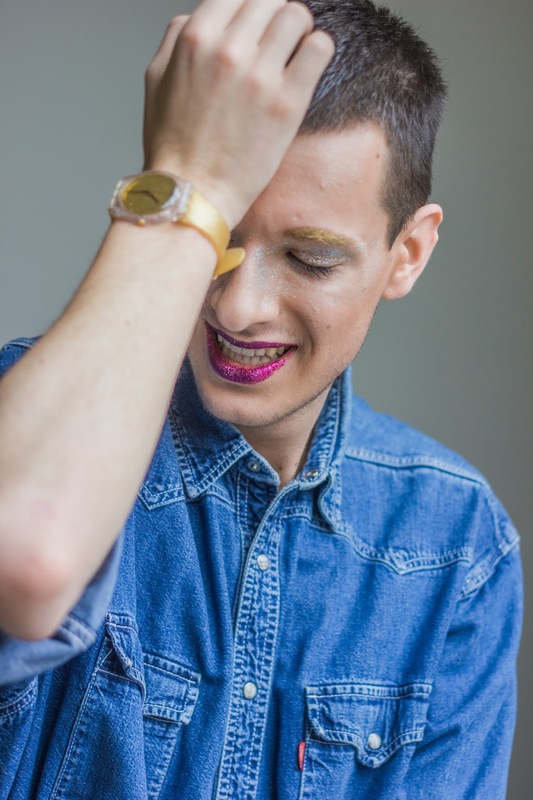 This post was made in collaboration with Swatch. All opinions expressed are truthful AND my own.